USBs – where will you fit yours? 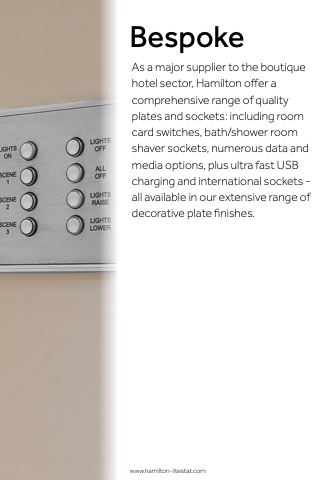 Above the kitchen work-top, beside the bed, in the hall, the downstairs loo, and even the garage – Hamilton’s range of single and double USB charge points ensures 24/7 connectivity, whatever you’re doing! and the industrial Metalclad design.